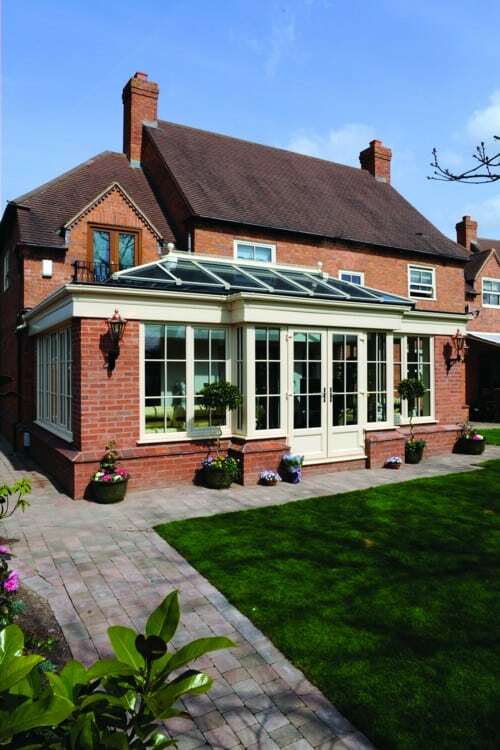 Your dream orangery can become a reality with Test Valley Windows. 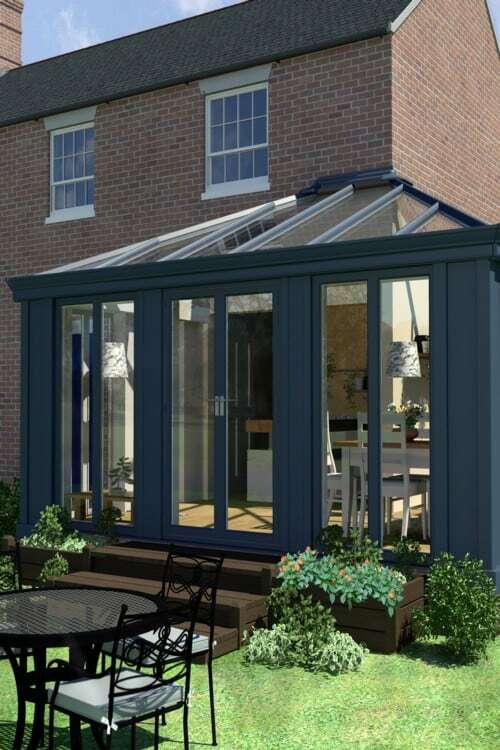 All our orangeries are bespoke so by using our free, no obligation, quotation service we can design to your requirements. We can carry out all the works from start to finish including planning, building regulations (structural and SAP calculations) and the complete construction. 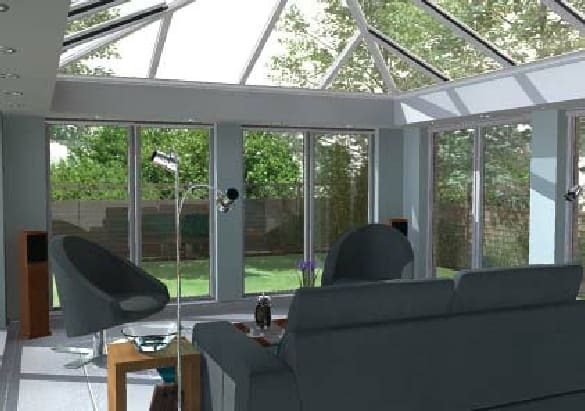 An orangeries light, airy and bright interior will add a new dimension to your home and provide a living space link between your home and garden. 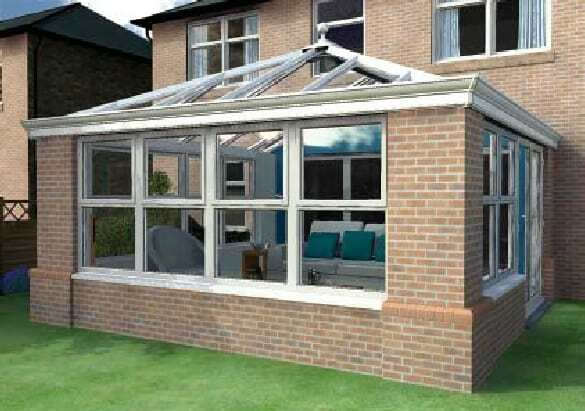 The traditional orangery features a flat roof around the perimeter with a glass roof on top. This style is what some call an atrium roof. Choose from a masonry parapet wall or a fascia version; both feature a flat roof around the perimeter. 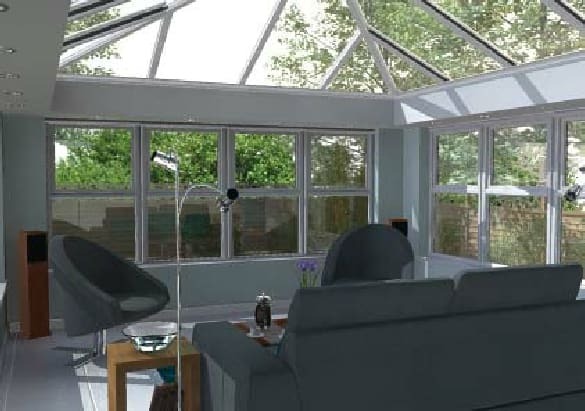 Our Liv in Room Orangery has the style of an orangery without the flat roof around the perimeter. 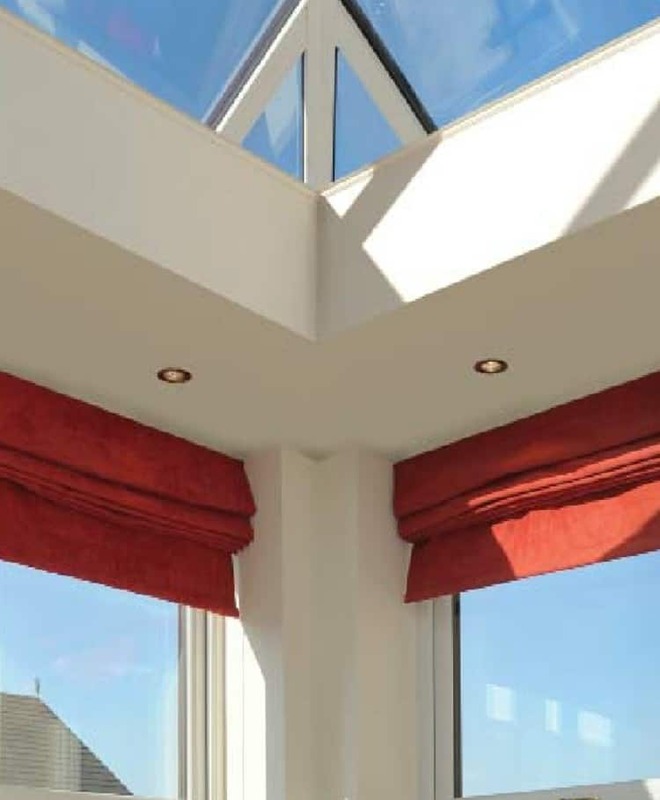 As with an orangery, a ceiling is created around the perimeter creating the best of both worlds and with the light and sky of a conservatory and walls and ceiling of an extension. 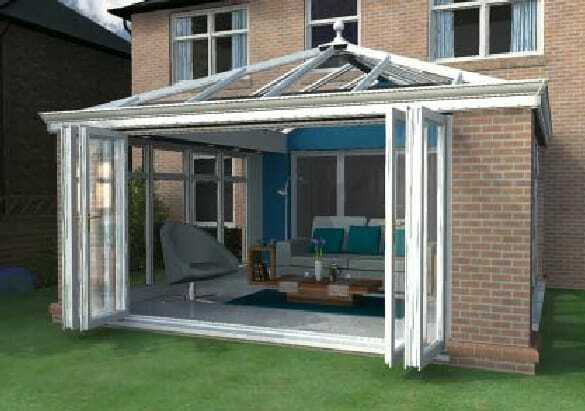 LivinRoom design is part conservatory and part orangery and will make a stunning addition to any home. 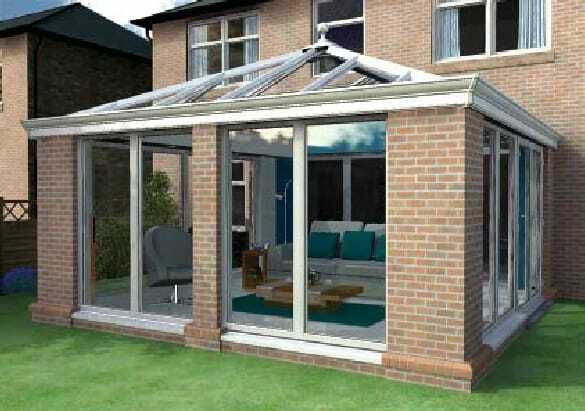 Loggia is the addition of super insulated columns. At your disposal is an exceptional range of design options, each giving you the ability to stamp your personality on every aspect. 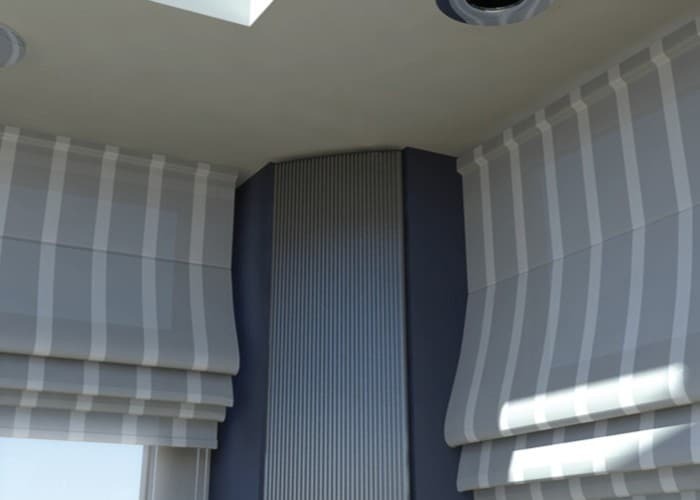 Design options include wide or narrow columns (finished to your choice of colour) sitting on or off plinths, topped with the Classic Cornice outside, internally insulated with a LivinRoom perimeter ceiling. 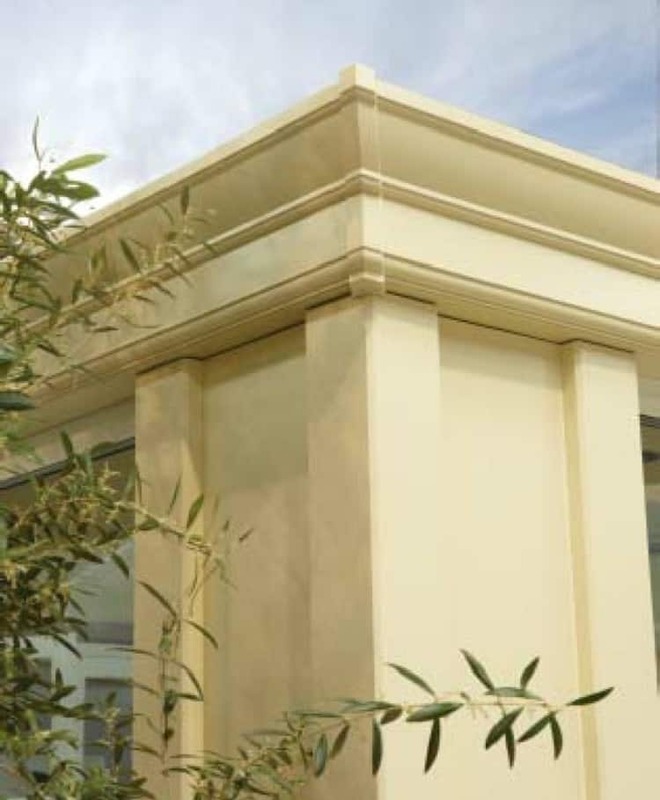 The Loggia column can be powder coated to any RAL colour and has many size options. You can add matching plinths, feature grooves and the Livin Room cornice around the outer perimeter to the top of the columns and frames. Columns are constructed using timber so narrower columns can be created than you could with bricks or blocks. 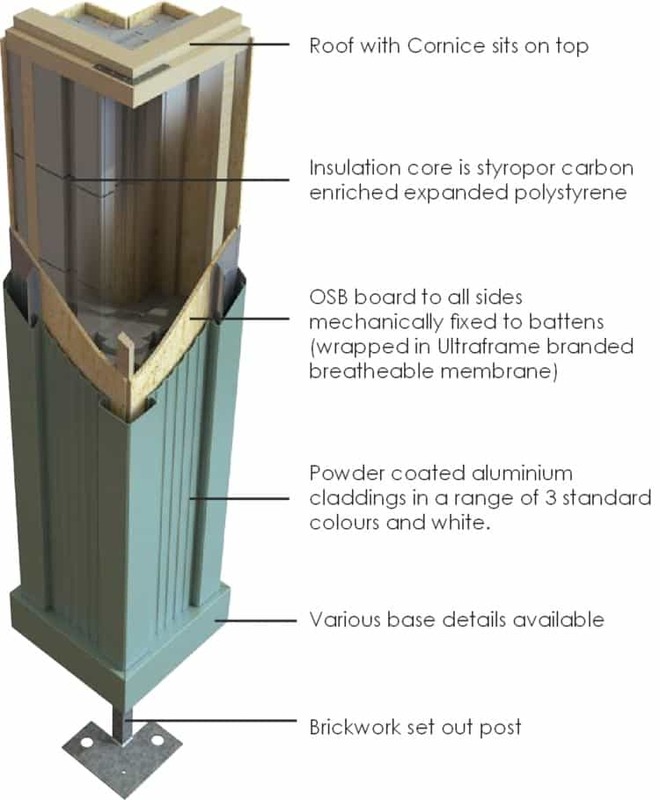 Packed with high performing insulation helps contributes to building an energy efficient extension and can consequently cost less to heat than a tiled roof extension! The column and the perimeter ceiling are boarded and plastered. Led Spot lights can be installed to your requirements. We can also add a changeable colour up lighting strip, around the perimeter, to create mood lighting to add that extra ambience. 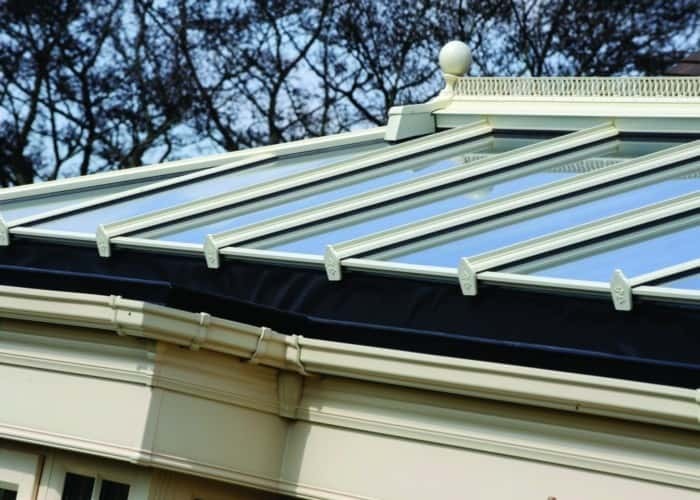 On the traditional orangery, the glass roof is installed on top of the flat roof. As the glass roof is not sat directly above the frames, columns and brickwork additional structural beams have to be installed around the perimeter. The flat roof is insulated increasing the thermal gain and reducing solar gain. The LivinRoom perimeter ceiling is suspended from the roofing system, so there is no flat roof. The size can be adjusted to your requirements. The weight of the roof is directly on top of the columns, so there is usually no requirement for additional structural beams and is, therefore, a more viable option. 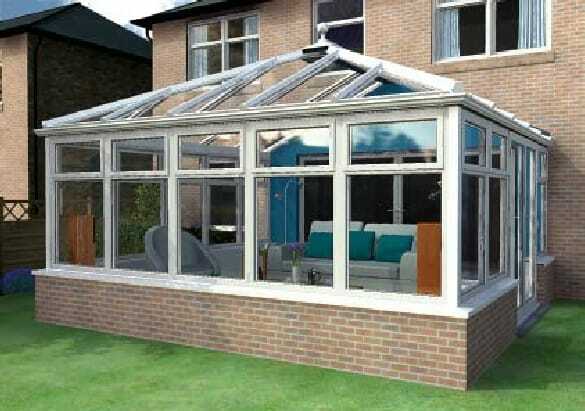 Old conservatories are not efficient rooms and therefor often become cold in the winter and hot in the summer. 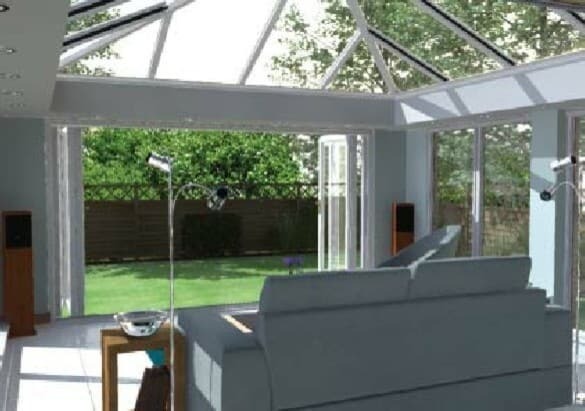 With the modern advancements in the thermal insulation of frames, energy efficient glass with vastly improved heat reflection and retention properties, and improved thermal properties of wall insulation, there is no reason why your old conservatory cannot become a room you use all year round. 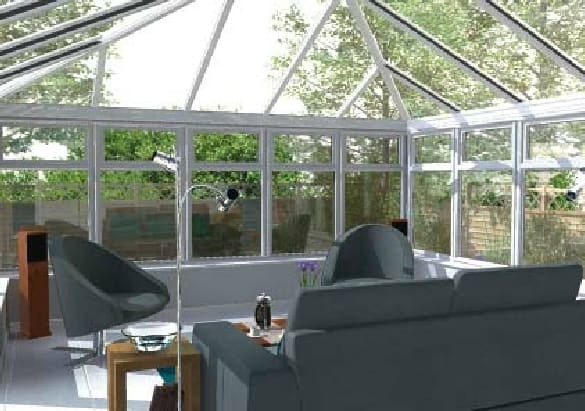 Upgrading to a new conservatory will help, considerably, with all year round comfort. 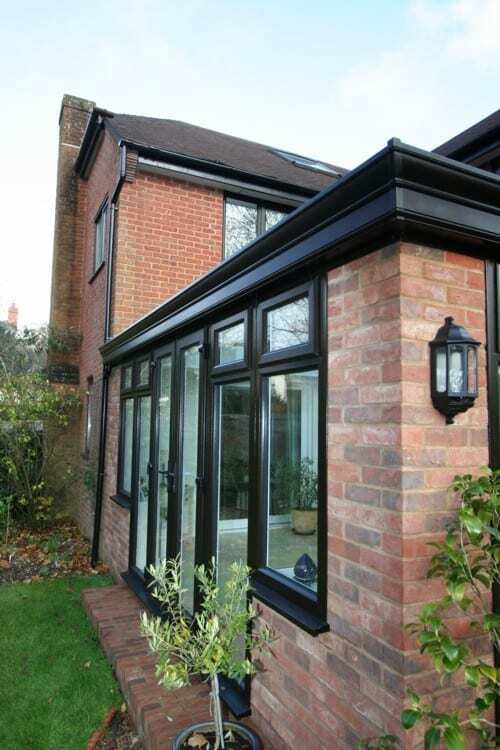 Customers can go to the next step and add brick piers or Loggia columns, combined with the LivinRoom roof and you will truly have an exceptional light extension. The benefit is that as long as the original base has been constructed to a high standard, the base work can be retained. The photos below demonstrate just a few of the possible options. 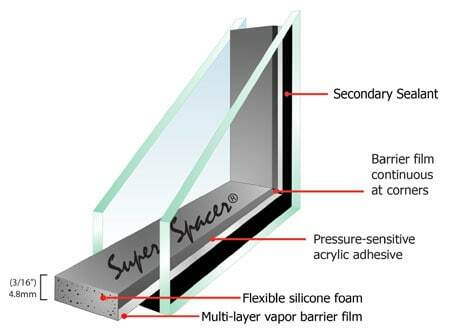 To enhance the thermal efficiency and life of our windows we fit our double glazed units with low conductivity Super Spacer. 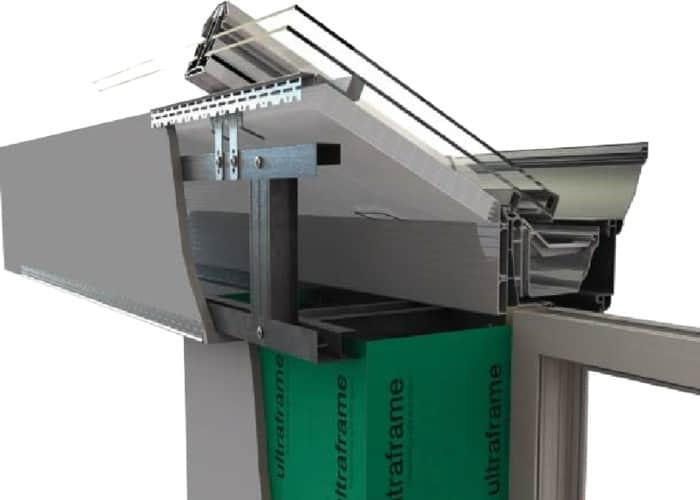 This replaces the traditional metal bar and helps prevent or eliminate condensation round the edge of the sealed unit.The spacer is manufactured from a high-quality silicon that increases the seal’s durability, is resistant to ozone, UV light and oxidation. All this increases the life expectancy of the sealed unit.A high desiccant content absorbs any moisture that is in the environment during manufacture improving the clarity of the unit. Test Valley windows install orangeries throughout Hampshire, Dorset, Sussex, Wiltshire, Berkshire including Andover, Winchester, Basingstoke, West London, Southampton, New Forest, Romsey, etc.